Bathrooms By Design was established in 2004 by owner Arlene Johnston with the task of taking contemporary bathroom design to a new level. "By remaining focused on providing individual solutions, designed to our clients' specifications, Bathrooms By Design has done just that and has been fortunate enough to receive positive feedback from clients seeking that extra touch of inspiration for their bathroom design. Our attention to detail and care for the quality of our work can be seen throughout our portfolio. Our staff will work hard to ensure you receive the superior bathroom design, exceptional products and services that will match your high expectations. If you need further information, including testimonials or simply assistance in crafting your exclusive bathroom design, do not hesitate to contact us. We are always delighted to help. In fact, for more and more homeowners, for both larger and smaller spaces, the demand in terms of bathroom designs is for something that extra special. Inspirational, elegant and innovatory. A bathroom experience capable of transforming that special room in your home into a stylish sanctuary. 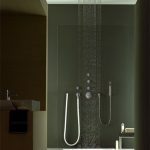 An inspired bathroom design capable of creating luxury and sophistication, as well as harmony and recuperation. 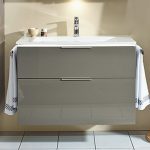 A stylish bathroom experience incorporating the best designer names (Laufen, Burgbad, Dornbracht, Fantini, Victoria & Albert, Aqua, Bisque) and backed with superior customer service and full product support. At Bathrooms By Design our designers will focus on delivering these special ingredients for your bespoke bathroom design. Why not find out now how we can help you create a luxurious bathroom for your home? 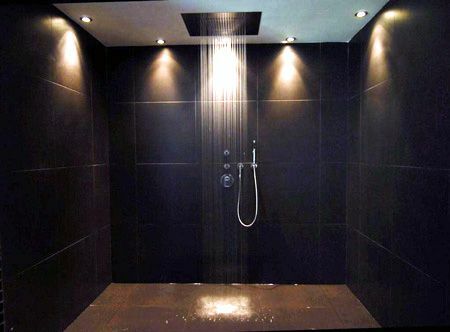 Why not ensure shower and bathtimes are quality times in your household by taking advantage of our superior range of designer bathroom products? 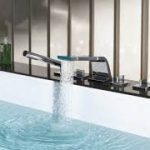 We offer a choice of the highest quality British and European designer bathroom products and accessories, such as Cabuchon, Victoria and Albert, Laufen, Dornbracht, Burgbad, Fantini, IDEA Group and Bisque. Our designers will take great pleasure in combining your choice of exclusive products with their exceptional creative flair and hands on technical awareness. They can help you create your dream bathroom. And remember, all our luxury designer products are available with our bespoke planning and design service. We have everything you need to bring your dream bathroom to life. Why not see examples of our elegant bathroom designs at our stunning showroom in Woodford, Cheshire? Feel free to browse our beautiful showroom in Woodford, Cheshire just off the Chester Road, and conveniently sited for Wilmslow, Bramhall, Prestbury, Alderley Edge, Poynton, Altrincham, Stockport and Manchester. Here you can view examples of our stylish ranges in a relaxed and friendly no pressure atmosphere. Our design team will be on hand to help you generate your own bespoke bathroom and provide a full planning service using state-of-the art computer aided design. 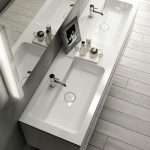 View the luxury experience of Italian and German furniture, stunning 'wet rooms', designer bathroom suites, mirrors and accessories together with a full range of ceramic and stone tiles are all showcased at our Chester Road showroom.